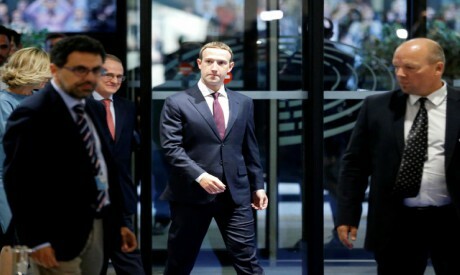 Zuckerberg stressed Facebook's commitment to Europe, where it will employ 10,000 people by the end of the year, he said. Zuckerberg said investments in security would significantly impact Facebook's profitability, but "keeping people safe will always be more important than doubling our profits." However, some European officials want a tougher line on big technology firms. Tommaso Valletti, chief economist at the European Commission's competition unit, said earlier on Tuesday Facebook and other technology giants could face more regulatory scrutiny because of their market power.